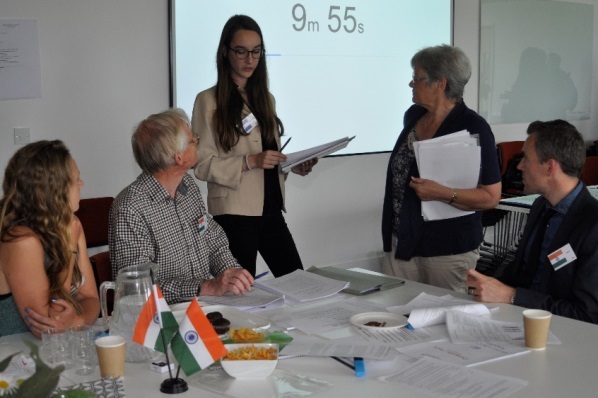 Our recently appointed World Climate Ambassador, Dr. Diana Pritchard, facilitated an exceptional World Climate Simulation involving participants from three generations and from diverse cultural settings that are studying, living and working in Bedfordshire, UK. 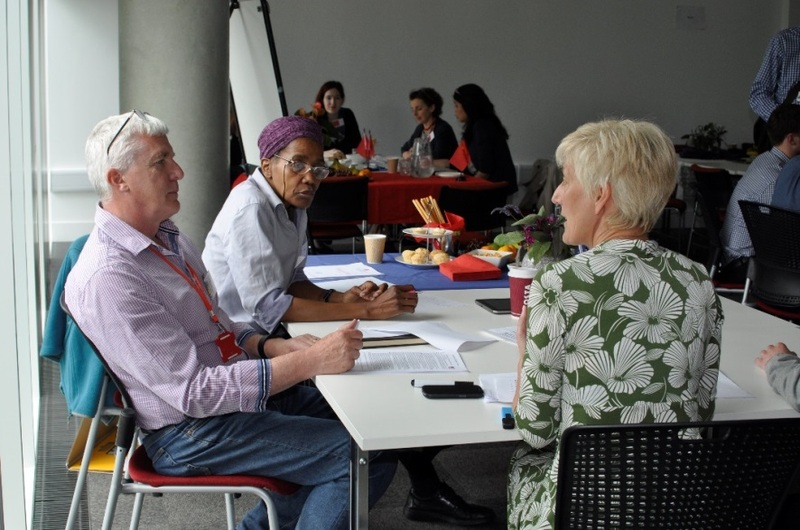 Each delegation included at least one student, one academic and one representative of a community organisation. Everyone, irrespective of academic level or experience, learnt together: this was ‘horizontal’ learning in practice. Here is a pictorial of the event. 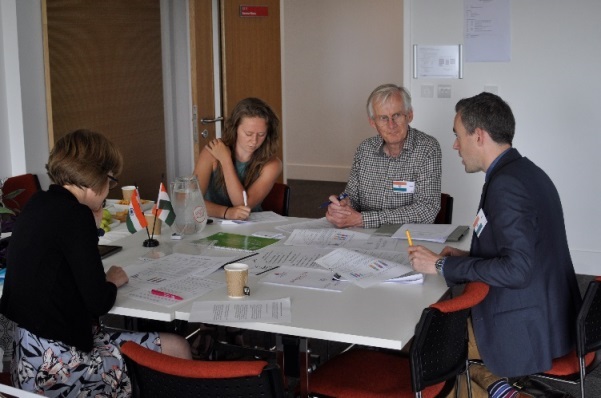 Defining a country strategy for India: From left to right: Dr Jenny Cann, student Sarah Kerr, Trevor Evans (United Nations Association) and Dr Nicholas Worsfold. Delegates representing developing countries, Nicaragua and Brazil, seek support from India under time pressure. 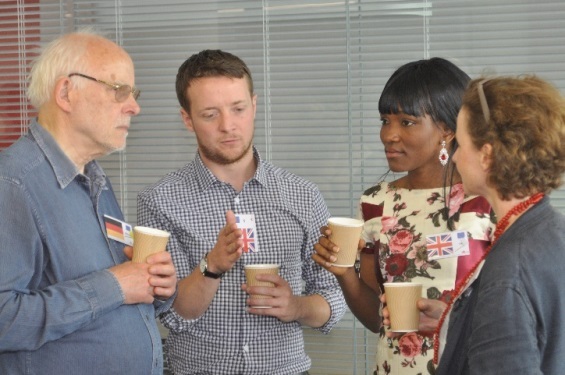 From left to right: Biddenham school leaver, Sarah Kerr; Trevor Evans (United Nations Association), Undergraduate student Joana Andrade, Heather Mitchell (Bedfordshire Climate Change Forum) and Dr. Nicholas Worsfold (Life Science). 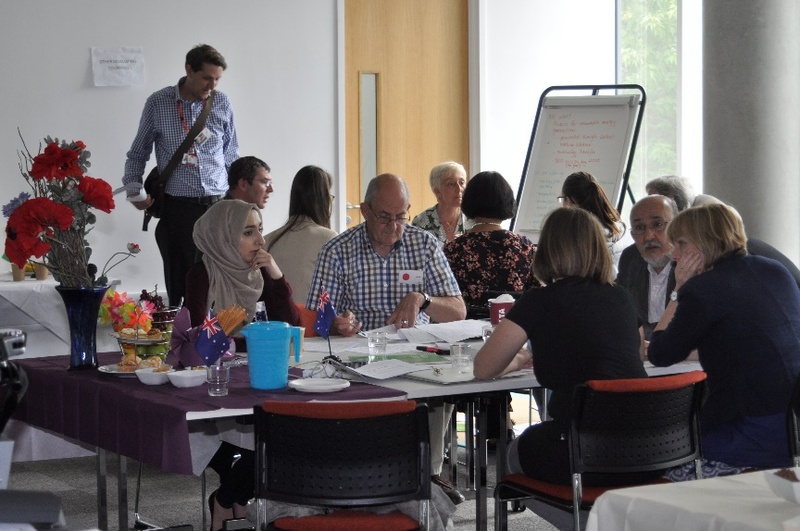 Groups, including a mix of students, staff and community members identified their own interests and priorities before defining their strategies and negotiating with others. Note the set-up of the table while those in the background did not have a table or enough chairs to highlight power differences among groups. Negotiating between blocs. 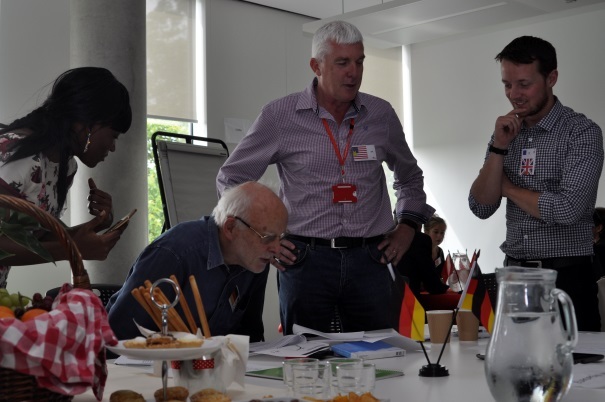 From left to right: table in the fore: Academic Peter Craig, Glenor Roberts (Bedfordshire Climate Change Forum) and Lisa Hayes (Centre for Learning Excellence). In the rear table, Undergraduate student Breanna Banar, Lucy Bywater (Bedfordshire Climate Change Forum) and Dr Caroline Tie.